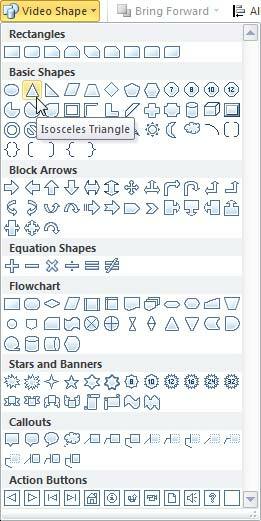 Learn how add shapes for videos in PowerPoint 2010. When you insert a video clip within a PowerPoint slide, you'll find it placed as a traditional rectangular shape. And while that's exactly what most users expect, it does seem safe and conventional. However, PowerPoint 2010 does allow you to have your video playing in different shapes such as a circle or oval, or a wave, a triangle, or any of the shapes that PowerPoint includes. Just the fact that a video can be placed within a shape is no reason to forego the conventional rectangle -- do remember that most other shapes may crop out important parts of your video clips. If you see the black rectangle in place of the video clip, then the live preview you see will show a black fill within the actual shape applied to your video clip. This happens because you see a black rectangle instead of a frame associated with the video clip. To make sure you see a video frame during live preview, add a Poster Frame to your video clip -- that way you will see a video frame in the place of black rectangle, as shown in Figure 2 below. 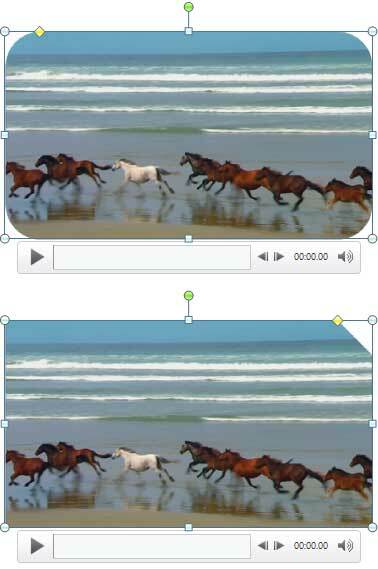 Within the Video Tools Format tab, locate the Video Styles group and click the Video Shapebutton (highlighted in blue within Figure 1, above) to access the Video Shape drop-down gallery that you can see in Figure 3. Note: The Video Shape drop-down gallery is similar to Shapes gallery in PowerPoint 2010. Now, select any shape from the Video Shape drop-down gallery that suits your requirements. For this tutorial, we have chosen the Isosceles Triangle, as shown in Figure 3 above. This constrains the selected video within the Isosceles Triangle shape. Play your video at least once to ensure that no important parts get cropped out. 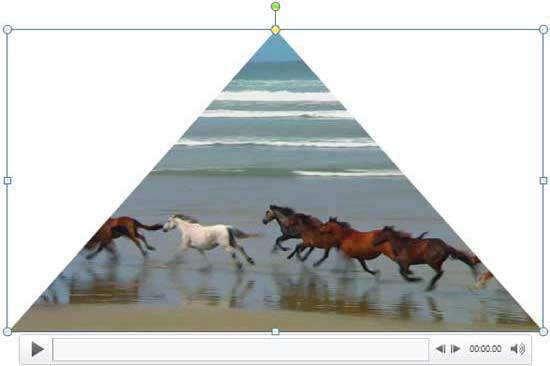 Figure 4 shows previously inserted video is now playing within the Isosceles Triangle. Once the shape of the video is changed you can use the Video Effects, Video Border, or the Video Styles to enhance its look. Tip: Try using shapes that are similar to a conventional rectangle such as a Rounded Rectangle or any of the Snipped rectangles (see Figure 5 below). 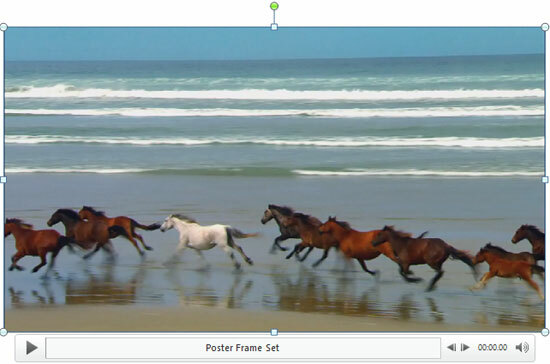 This way you can prevent large areas of the video from being cropped out when a shape is added.